Cosmetics & beauty companies are plenty in any given city. A new business in this field has, therefore, a fierce competition to face from both established and new ventures. So, a key to grab the attention of customers for a new company is to have a unique company name and an effective marketing strategy. But the right name of your new business is the first and foremost thing to consider. Naming a business has never been an easy task as it requires investing significant time and brainstorming sessions. You can name your company in just any casual way, but people may not get the right message of your business. In that case, you may end up losing customers to your competitors. After all, people think of a business by its name. Therefore, naming your cosmetics and beauty business appropriately is essential to success. When you set out to realizing your business dream, naming your company is the first crucial step that will help you lead towards achieving success. After all, your company name will be everywhere such as on products or services, brochures, websites, and in your marketing campaign. So, the name must grab the attention of the target audience. To name a new company, you must stand out from your competitors. That is the way to catch the attention of customers towards your new enterprise. At the same time, the unique name should be simple that is capable of reflecting your brand personality and message. 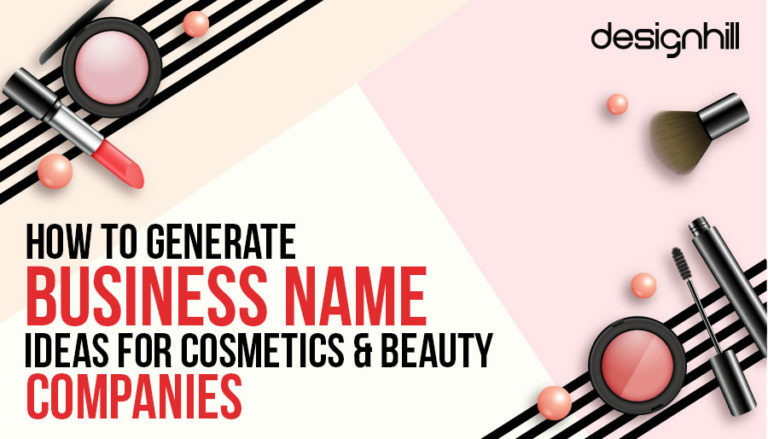 If you are thinking of some business name ideas for your brand new cosmetic and beauty business, how about trying these names? What area of cosmetic and beauty industry does your business specifically covers? This industry itself is vast, and it has evolved over the time. For example, this industry is no more restricted to women. Now, men are also target customers of some companies for some specific products. So who is your target audience of the cosmetic and beauty products? What perception do you want to create amid people about your business? What exact impression they should build about your company, products, and business? The name you select for your company should reflect a precise answer to these questions. Make sure that it represents your brand personality. Most cosmetic and beauty companies reflect the personality of its women customers. But even women come from different social and financial class. So, name the business that says something about the women customers you want to target. Also, a name that expresses your brand personality and a brand message may appear on your cosmetic logo design and promotional campaign. This means the logo will impress the audience even more due to the design and the name. Simplicity is the most desirable live value. Also in the business world, the simplicity of ideas, marketing campaign, and other aspects helps give the boost to any business. This is also true when choosing a name for cosmetics and beauty companies. So, make it sure that your potential customers can pronounce the name easily. Avoid the names that sound complex and strange. Therefore, ignore some alien names from utterly foreign cultures. Note that a simple company name will also help you create beauty salon logo design, which is essential to make a lasting first impression on your target customers. There are already many cosmetic and beauty companies in your city. Most of them are your immediate competitors. Your new business must stand out in many ways in the market so that people can find your cosmetics products or services unique and useful. When thinking of a name for your business, first take a good look at the names of other such companies. Do not include those words that you usually find in other names from the similar companies. You should come out with a name that looks outstanding in its words and sounds great. Name generator software is good assistance in finding out many potential names for a company. Type your industry and business keywords on the search box of the software, and you get a wider range of name varieties. But use many other software options on the web to get more name ideas for cosmetics and beauty companies. You can then discuss these names during your brainstorming sessions for their merits. If you have a logo designer as part of your marketing campaign of the business, ask the designer which of the names will look great on your company logo. That can also be one of the parameters of choosing the right name for your business. Do not keep it a secret. Talk to your family people, neighbors, friends and others about your company name. They may come out with an exciting name that you never thought of. You should also brainstorm with your company’s members to discuss the pros and cons of each name that pops up during the sessions. The key here is to have many naming ideas from all sources. You will also come to know which names will look great as an identity of your company when you create a logo as a face of your business. Do not take the final decision about the name until you have checked it with authorities for trademark availability. Your company name is your trademark along with your logo. A trademark is very much a part of doing business. Once you secure your name as a trademark, any wrong usage of the name by any part will be illegal, and you can take the offender to court. This way, the trademark secures the uniqueness of cosmetic products and services of your cosmetics and beauty business. To check the trademark availability, go to the United States Patent and Trademark Office website. Type your potential business names in the site’s search box to find if you can patent it or not. So, before you hire graphic design services to design your company’s logo, make sure that the authorities have approved your company’s name as a trademark. To check the trademark availability, visit your federal or state govt. websites. Most customers of cosmetic and beauty companies buy a wide range of products online. They first visit a company’s website to get vital product details and prices, discounts, etc. before making a purchasing decision. The URL is a part of doing business through the Internet. You will be putting everything about your company, products or services on your website for the benefit of your target customers. Therefore, your business needs a website, which should compel you to have your company name as your domain address. Your website is essential to doing business, but you should get the URL registered before hiring a professional graphic designer to develop the site pages. A second opinion about your company name can give you an insight into what people think of it. Your company’s members are not the customers, and they will pick a name from their perspective. But make sure that the name makes an impression on the customers and people in general. So, talk to your neighbors, friends, and put the name on social media to get peoples’ reaction. This way, you will get to know peoples’ likes and dislikes about the names that you’ve picked. Remember, if the name is easy to pronounce and unique that people can relate to, then this would be a great graphic design ideas to the designers to create logo for your business, brochures, and other promotional materials. So, check the name with the people to find out if they like it. These are some of the significant points that you should pay heed to while naming cosmetic and beauty companies. Rather than picking any name in a hurry and then changing it later, it is always better to take your time and settle for the right name. So, you must be patient as the process may take several days and many brainstorming sessions. After the naming phase is over with a simple, unique, and catchy business name; the next step is to market your company and products by creating a logo, brochures, business cards, website, and many other visuals to build your identity. You will need the services of Designhill, a leading marketplace where you can get the right design solutions for your business. It is an affordable marketplace for small business owners who need to create a wide range of designs to promote their products or services. New cosmetics and beauty companies depend a lot on their names to stand out in a crowded market having many new and established businesses. But the name must be simple and unique, and should convey the brand personality. You need to brainstorm to get some exciting naming ideas that you can register a domain and trademark.